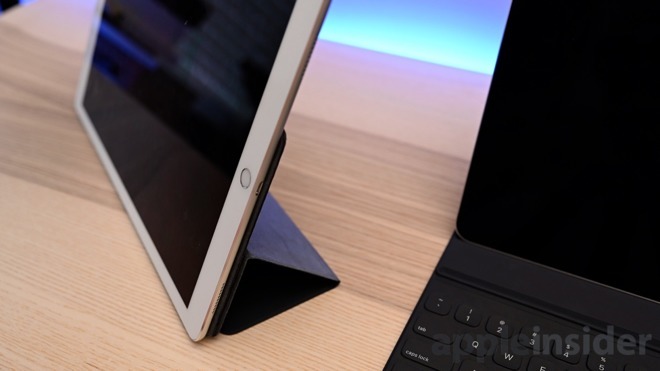 The Smart Keyboard Folio hooks up to your iPad Pro magnetically. 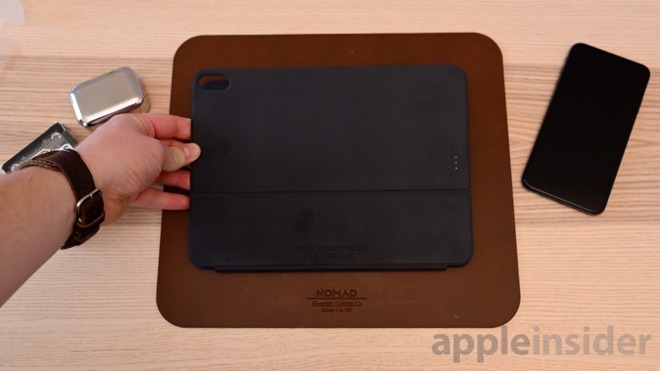 A series of new magnets are embedded within the back panel of the new iPad to make this work. These magnets hold the folio into place, but are still only magnets —a sharp jolt from a fall still is enough to dislodge it. 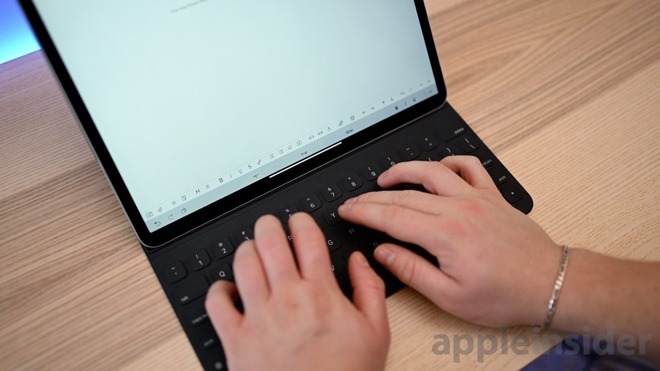 When it comes to sizes and convenience when typing, there are two models to consider —the larger 12.9-inch model actually contains a full-sized keyboard, same as the last generation despite it being physically shrunken down. 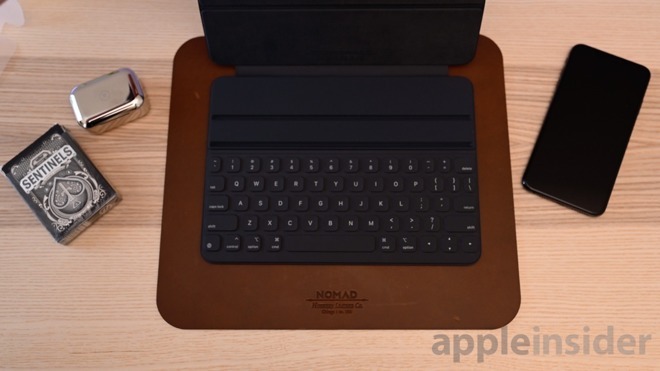 Apple trimmed up the extra space on the sides, retaining the full-keyboard size. 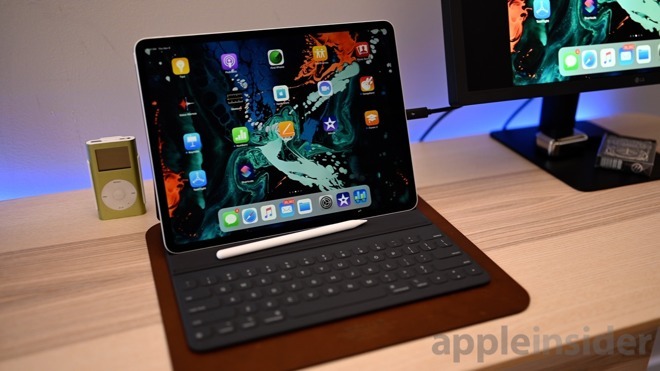 The 11-inch model in comparison is a bit more cramped, and certainly a tough experience. 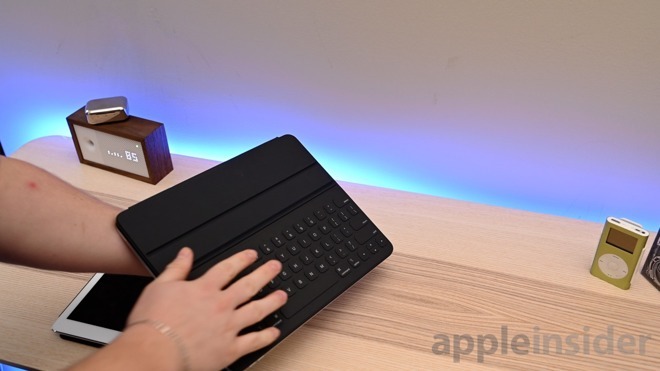 With the 12.9-inch, it feels — other than the material — similar to typing on your Mac. Because of the space constraints, the 11-inch isn't a full-sized keyboard so muscle memory is a bit harder to transfer. Our biggest complaint is the more vertical viewing mode. 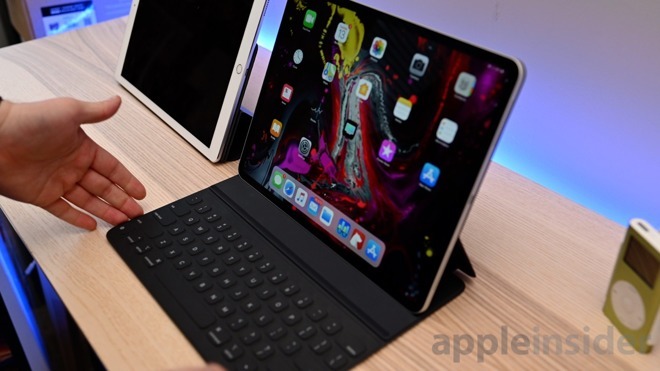 The old iPad Pro had two modes — a typing mode with the keyboard out, then a viewing mode that tucked the keyboard away and positioned the iPad at a steeper angle. This was convenient to use with a small footprint in a variety of scenarios and took up very little space. 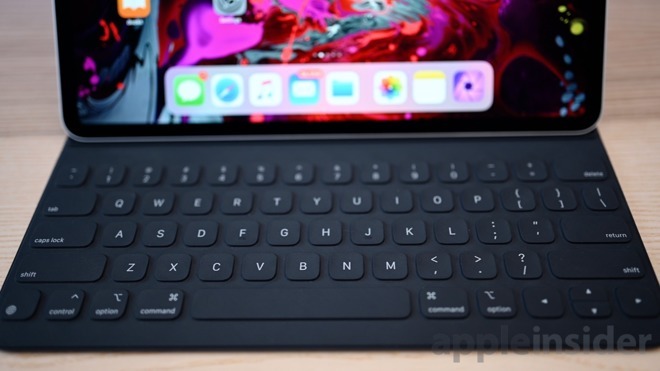 We're hoping that manufacturers are rushing to bring their own keyboards to the new iPad Pros —but aren't optimistic given the dearth of options for the iPad Pro. But, with any luck, Apple will be dethroned by a newcomer this year.